Croatian media sources say some 30,000 and Austrian sources say some 50,000 people gathered at the Bleiburg field in Austria on Saturday 16 May 2015 to bow and pay respects to the post-WWII victims of heinous communist crimes. This year marks the 70th anniversary of the terrible deaths suffered at the hands of the communists who still hide their crimes by rubbing shoulders with the allies and the allied efforts to bring freedom and democracy to nations of Europe. After WWII ended, in May 1945, several hundreds of thousands of Croats – unarmed soldiers of the WWII Independent State of Croatia and civilians – made their way out of Croatia wanting to surrender to the allies but were murdered after the British army refused to accept the surrender and turned them over to Josip Broz Tito’s Yugoslav army. A large number were slaughtered in the Bleiburg field itself and many died in the following months on marches across Croatia and Yugoslavia – known as the Way of the Cross. 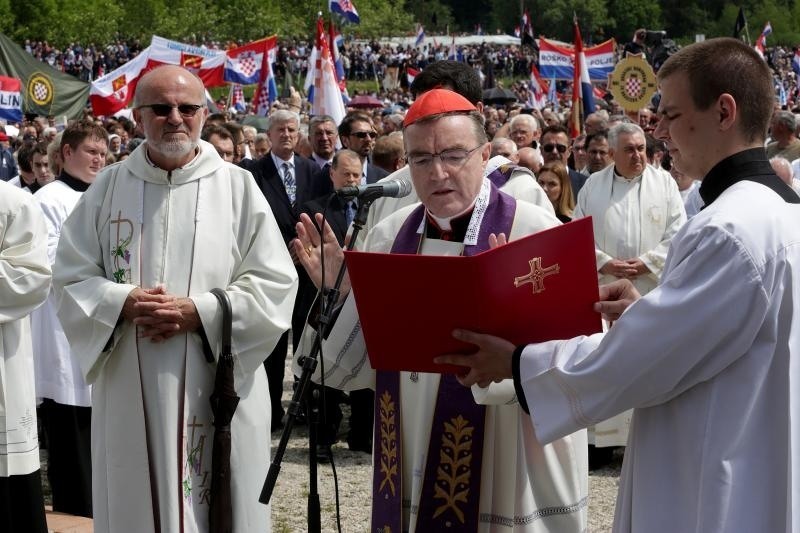 While none of Croatia’s government top-ranking figures were present in Bleiburg on Saturday, as for instance they were at Jasenovac in April, the leader of the parliamentary opposition – Croatian Democratic Union/HDZ, Tomislav Karamarko, was and so were many political and church leaders, including Cardinal Josip Bozanic, the Archbishop of Zagreb. 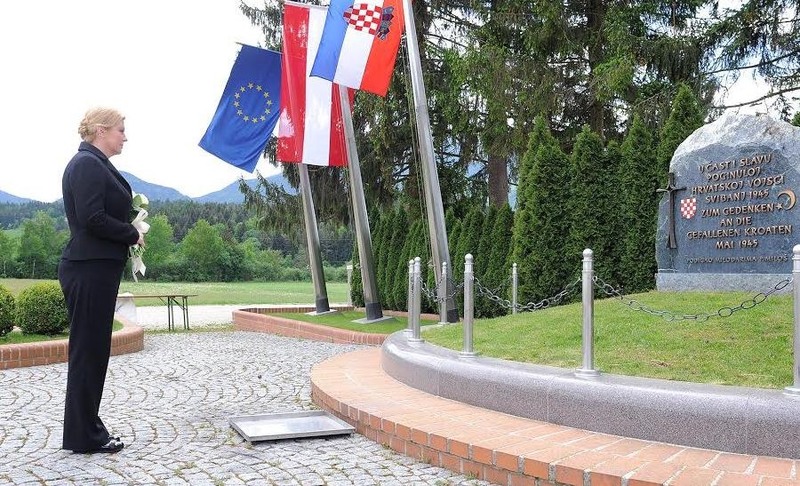 “Seventy years ago, a large part of Europe and the world celebrated liberation from totalitarian ideologies of evil, and what Croatia remembers about May 1945 are horrible massacres, crimes against humanity committed under the symbol of the five-pointed star,” said Bozanic at Bleiburg. The cardinal recalled that in 1945, unlike Western Europe, in Croatia and some other central and east European countries one totalitarian regime was replaced by another totalitarian regime and that Nazi-fascism was replaced by communism. “For us, the establishment of the communist totalitarian system meant the beginning of new persecutions, imprisonment and killing of innocent people; pits and foibas (sinkholes) and mass graves that have not been located and investigated yet testify to that,” said Bozanic. “It’s finally the time that those responsible for these terrible victims are named…Croatian social-democracy will never be a true social-democracy until it distances itself from the crimes of Josip Broz Tito, only when they do that will the Croatian Left be born,” said Tomislav Karamarko at Bleiburg. 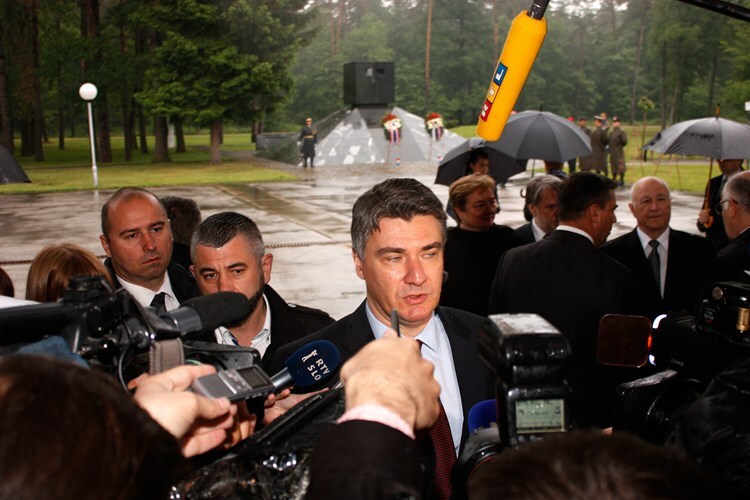 Prime Minister Zoran Milanovic, Parliament Speaker Josip Leko said and Defence Minister Ante Kotromanovic paid their respects to the victims of the Way of the Cross marches on Friday 15 May in Tezno. Crimes committed by Communists at the end of World War II have stained “a just fight” and Croatia today condemns all crimes committed in the name of any ideology, Milanovic and Leko said. The past cannot be changed, but for the sake of new generations, crimes committed in the name of any ideology must be condemned, Parliament Speaker Leko said. “I came here for the people who were killed at the end of a war. This is a tragic, horrible event, which puts a stain on a just fight and one should not run from it, nor do I run from it. 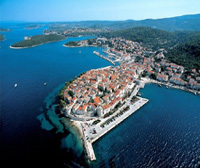 I am here as Croatia’s prime minister and statesman,” Croatia’s Prime Minister said before laying a wreath at the site. What a shame Milanovic did not bother to make as lengthgy a speech at Tezno as he did less than a month ago at Jasenovac! But then again, if he were ready to make a speech at Tezno or any other communist crimes mass grave site he would have to condemn his beloved communist regime as loudly as he condemned the pro-Nazi regime at Jasenovac. That of course, is not yet to be – sadly – but perhaps these words spoken at Tezno suggest former communists and today’s followers of the communist Yugoslavia leading criminal Josip Broz Tito, such as Prime Minister Zoran Milanovic, are making small steps towards full condemnation of horrific crimes committed in the name of communism? It’s difficult to say because all of that red gang stays away from Bleiburg – most likely because it has become a worldwide, reciognisable, symbol of communist Yugoslavia and Tito terror and murderous rampage against humanity and human rights. 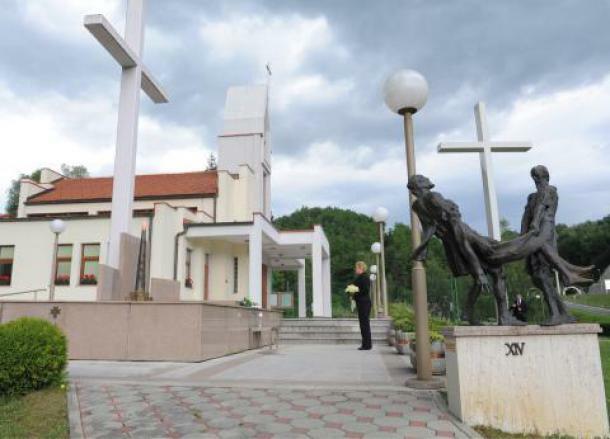 The topic of Bleiburg massacres and those along “the Way of the Cross”, where communist death camps grew like mushrooms after rain, was a taboo in communist Yugoslavia. Exact records of numbers that perished have not surfaced as yet, not even the number of civilians, and one is well justified in saying Tito’s communists buried them. However, if one considers the fact that towards the end of WWII the government of Ante Pavelic’s Independent Croatia united or blended into one army the Ustashi (Nazi-collaborating forces) and the Home Guard forces (defenders of Croatian territory from internal and external enemies), thus reaching the number of over 100,000 soldiers, that sources say at least 80% of them had followed the order to retreat, it’s likely that those retreating unarmed soldiers took at least 60,000 civilians with them as they reached Bleiburg. It’s important to note that, towards the end of WWII, while many Home Guards were united into the state army with the Ustashi, quite a number of them defected into the communist Partisan forces and there were also many who wanted nothing to do with either Ustashi or the Partisans, and if captured by either were executed. Further hundreds of thousands more were murdered along the years of Tito’s communist purges and Bleiburg symbolises these deaths as well. These heinous crimes committed at Bleiburg and along “the Way of the Cross” at the end of WWII and after it, had taken away every right from Tito’s communists to call themselves antifascists. Unlike with other antifascist movements in Europe, these crimes committed by the “antifascist” communists removed any chance of democracy Croatia might have had after WWII. Using the legitimacy of antifascist fight (“the good fight”) Yugoslav communists had established a murderous totalitarian regime and a dictatorship. The Bleiburg tragedy especially serves as a political jumping-board because it has not been closed, it has left many questions unanswered, especially those to do with murder and extermination of innocent people and why Tito’s communists decided to treat the Home Guards the same as they treated the Ustashi, those responsible for the running of the Holocaust concentration camps. Most Ustashi leaders had fled to South America after WWII, were not among the masses of civilians and soldiers murdered at Bleiburg – who, in this terrible way, were made to carry the full burden and pay for all the crimes committed by the Ustashi regime. The victims of Bleiburg paid with their lives without knowing what it was that they had done! This injustice continues to this day and it’s a problem of ideological dispute in the daily politics of Croatia; this problem is a much bigger problem than the actual murderous event of Bleiburg 1945. The innocent victims of communist crimes have still not received the full recognition and afforded the full piety they deserve because today’s government and left-winged political elites have monumental difficulties in separating innocent victims from the political ideology others pin them to or the murders from the political ideology that sees communism as force for freedom. Bleiburg massacres were not revenge killings by communist or antifascists against “fascist” regime of WWII – they were murder of innocent Croatian people. I never new about this. It isn’t part of the “nice” history we are taught or read in books. Thank you for posting. It isn’t something the “victorious” would have wanted to spread, Christopher. 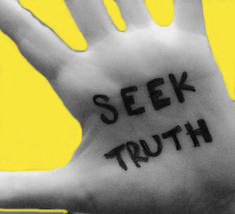 But this is 21st century and since so many decades of half-truths, hidden truths, about WWII haven’t made this world a better place perhaps if the full truths are out we might yet succeed in reconciling and achieving lasting peace. May we never forget these crimes against humanity Ina. or how easily it is for it to happen all over again. And in these times of unrest between nations we must never forget and never allow it to happen again..
Love to you for all you share Ina.. Very moving Ina. I find it odd that the Office of Prime Minister could fail to condemn so many unjust deaths, Since Tito is now dead he could lay the blame at his door and still say it wasn’t mass murder by the Communists. This smacks of cult worship of Tito himself. Wish I could say I think things are getting better, but I can’t. The Crimes and Misdemeanors Against Humanity are ongoing, and it seems to me that they are accelerating from what they were before 9/11. I’m not so certain there was a communist ideology that lasted very long. It seems to me that the original ideals were quickly corrupted. From what I understand, Orwell’s excellent book “Animal Farm” was based on that betrayal. There are only two countries I can think of which really hold a strong unifying ideology — incredibly and ironically similar in theme — that of Nazi Germany and of Israel. Other countries, such as the United States — which I consider to be in terminal decline both morally and financially — have no ideology other than individual greed, as opposed to national greed. The Constitution of the US is meaningless to most of those who have pledged to uphold it. Indeed, the United Nations made a report on the happiest countries in the world: It came as no surprise to me that the US wasn’t in the top ten. Australia was. The massacres were not revenge killings- they never are; the powerful kill the powerless, of whatever “side”, never the other way round. True, Clare – so very true. Ina, you should start reading works by historian, professor Ante Cuvalo (http://www.cuvalo.net/?p=60) and company, on the entire situation of WW2 specifically in Croatia when talking about what happened because equating the entire Ustase movement to the Nazi movement is standing on thin ice, due to both ideology differences one being focused on state allegiance (ustase) and the other racially driven (Nazis), and what happened with them. Especially when the actual figures of the deaths of the Serbian population isn’t as much as what they, both the Chetniks and the Partisans, committed against Croats in NDH Croatia (Croatia and Bosnia). Modern historians put the amount of Serbian deaths in NDH during the entirety of the state from 1941-1945, around 350,000; with 127,000 being caused by fighting and killings between all parties, Partisans, Ustase, Italians, Germans, Chetniks, etc. while only having around 223,000 being victims of state terror caused by the Germans, Ustase, and Italians (Jasenovac, Rab(Italian) etc.). Although this might seem to be a lot it isn’t when compared to the fact that the Serbian population of the independent state was around 2.1 million people and as seen by the end of 1941 and early 1942 state terror had mostly stopped ironically by Pavelic with backing of the Germans. Now compare that to what they did during the war were it is estimated at the least that they killed 580,000 Croats and Bosnians during the entirety of ww2, and factor in tito’s democide as well, during and right after the war then there is a completely different picture, between the groups. Am I advocating for being Nazi aligned no, but the record needs to be set straight on our history about the Ustase movement, both the good and the bad and what had actually occurred instead of playing the same old myths that don’t tell the truth, because if it came down to them they were the lesser of two evils. Thank you, Anonymous, we cannot be blind to the truth and we cannot talk of numbers of those killed as a measure of degree of guilt – all murder even one is most heavy and contemptible. While I understand what you are pointing to with regards to WWII Ustashe – their just intent and fight for freedom and independence of Croatia, they did side with Nazi Germany but especially, as we speak of mass murders of innocent people, they did administer Jasenovac camp and other death camps and the fact that the number of those that perished in those camps was much, much less than what some say or make-up does not make it OK and such guilt must be acknowledged as part of Croatia’s history just as communist murders must. Many thanks for your voice. Croatia’s left is not fighting for the victimns of the “fascism”. It is fighting to maintain it ill-gotten gains and privileges. That is all. The only solution at this stage is a HDZ triumph at the next elections. If they can do the impossible and get a two-thirds majority then they will have a mandate to change the constitutioin, purge Croatian society of communists, make Bleiburg a crime punishable by jail. We simply cannot move on as a society being this divided. Somebody has to triumph. As Milanovic says it is simply “them or us”. It is an absolute scandal the behaviour of Croatia’s left. It has simply got to stop. If they are not happy with an independent Croatian state then they should bloody well leave. It is getting to the stage where Croatia’s left declares unconditional surrender or the right will have to do something about it. Besides just talking. I am sorry but this is beyond a joke. Civil War? DELETED – alleged and justified revenge killings are not supported by this blog and they are not supported by the justice system and human rights. When it was impossible for Croatian consciousness to have a voice, when Croatians within Yugoslavia were being threatened, persecuted, tortured and imprisoned under the bloody communist regime of Tito and his cronies, then it was left up to the diaspora to speak the truth. It was primarily the Croatian political emigres who fled immediately after WWII(former Ustasa/ Domobrans and NDH supporters) who organized and began advocating for justice for those victims of communism, and they did so bravely! At a time when it would have been much safer for them to assimilate into the cultures of their respective adopted countries – they chose to step up and be counted. They chose, at considerable risk to themselves and their families left behind in Croatia, to be the voices in the wilderness – to organize themselves into political/cultural/religious associations, that worked in tandem to inform/ educate /promote the idea of Croatia as an independent nation and Croatians as honest, hardworking and productive citizens. Of course, both these and other goals, were continually undermined by the Yugoslav propaganda machine which continued to misinform and falsify the historical record in order to promote their communist agenda. These emigres were largely responsible for highlighting the Croatian perspective on historical events surrounding WWII and calling attention to the plight of Croatians in Yugoslavia. A few things: firstly, you contend that Ustase were running “Holocaust concentration camps”; to which camps are you referring, and can you provide your references/sources list? I am eager to read the substantiation of your facts, that Jasenovac? or other? concentration camps existed and were run soley by Ustase as extermination sites…for whom? To my knowledge, there were no mass executions and certainly none of the magnitude as 800,000 claimed by “experts” to be the number killed in Jasenovac between 1941 – 1945 (see Drustvo za Iztrazivanje Trostrukog Logora Jasenovac). Now, before some suggest that even one victim is too many, I agree, but in reality, accuracy as to number of victims does matter and speaks to the duration, intent, and degree that war crimes or post war crimes may or may not have been committed. Remember that Jasenovac was used by Tito after 1945 as a communist internment camp, so the possibility exists that whatever bodies were found there may have again been victims of communist regime portrayed as victims of ustase. Indeed, the victims of Bleiburg did pay with their lives, but unlike your conclusion, I contend that they knew exactly what they had done! They were the people, the citizens of NDH, they were the supporters of NDH, they were the soldiers of NDH, they were the leadership(if you will) of NDH and that was their one and only crime. They desired, realized, defended and in the hundreds of thousands, died for Nezavisna Drzava Hrvatska and that alone was reason enough for their massacre at the hands of Tito’s antifascists. Just try to imagine the masses of Croatians numbering in the hundreds of thousands, fleeing their Partisan “liberators”, fleeing their Antifascist” brothers” who were freeing them from the bonds of ‘Nazism’,freeing them from ‘Fascism’ at the hands of a ‘puppet Ustasa regime’, bringing them a better tomorrow, a more just society…..try to imagine any scenario where the ones being liberated are desperately, in fear for their lives, fleeing from their liberators! ( Judge for yourselves -take a look at pictures of Zagreb on the day the” Antifascist liberators” entered the city.) The reality was that those who were fleeing the country were rightfully hoping to escape with their lives and would have been successful if the British had not opted to send them back into the hands of their communist executioners. Much more than a stain, the post-war mass slaughter of Croatians fleeing the Partisans is a critical and irreversible reality from which there can be no political recovery. You just go ahead, Mr. Prime Minister and attempt to prop up the deteriorating communist illusion that the Partisan fight was a just fight. Hopefully you and your ilk will soon be out on your ears and if the honorable opposition doesn’t stand firmly on the side of the victims of communist aggression this time….. well, the writing might just be on the wall for them as well. UNFORTUNATE. SEE HOW LONG IT TAKES TO GET PAST…THE PAST??? Thank you, Jonathan – will the past ever be over one often wonders. We can only try to bring it justice. Thank you for the reblog. May their families (victims) find healing and peace in our day and age. Thanks Ina. I lost my grandfather around this time. We have no idea where his remains were dumped. He was taken from a family of 6 children and a wife (my grandma). My dad was only 3 at the time. They were left beyond poor in Hercegovina. Grand dad was also not in an army and was slaughtered for no reason by Tito’s Partisans. Their hate knew no bounds. Today their supporters still will not acknowledge this evil. For anyone interested, the book Operation Slaughterhouse by John Prcela, has a number of horrific eyewitness accounts of these tragic events. It was published in 1970 . One of the most devastating accounts I heard is when they found hundred of bodies in one of the mass graves and the remains of a child clutching a crucifix were found. Devastating. What did this little boy do wrong? These poor people were buried alive in an open pit and died of asphyxiation or eventually of thirst and hunger. There are many similarities to their deaths as what the Reds were doing to Ukrainians and others in the Soviet Union. Hopefully one day their stories will be told to a wider audience and remembered like we remember the Katyn Forest victims, the Armenian genocide victims, and others….